Spacious and beautiful chalet for ten. 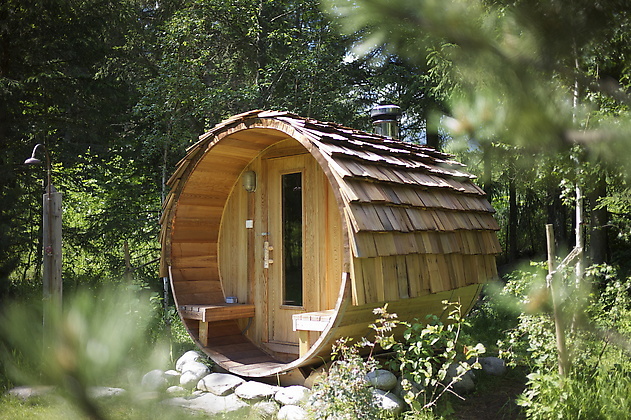 Full of character with hot tub and wood-fired barrel sauna. 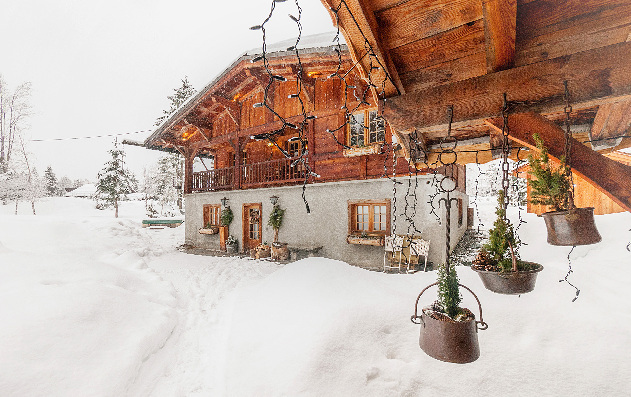 Fantastic location close to ski lift and village with bakery, ski hire, bars, restaurants etc. Available catered or self-catering. Off-street private parking. Ideal for families - travel cot, high chair, baby gates etc available free on request. 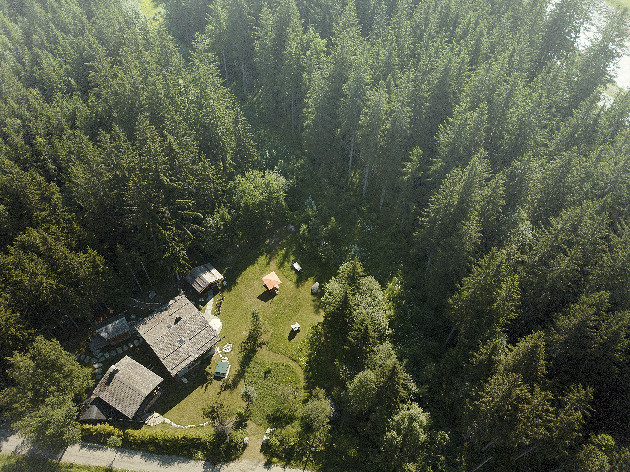 The huge garden is bordered by the forest surrounding the chalet. Just through the woods, you can glimpse the cross-country ski trails which run beside the river. The views are spectacular in all directions - you can see Mont Blanc, the Aiguille du Midi, the Dru, Flegere and Brevent ski areas, and much more. Our large hot tub is the perfect place to enjoy an Alpine sunset on the peaks. The spacious and beautiful living room has squashy and very comfortable sofas, a widescreen TV with DVD player and Nintendo Wii, stereo with iPod dock and a bar with plenty of glasses. There are games (including a Scalextric set), an extensive DVD collection and a selection of books including plenty about the mountains. 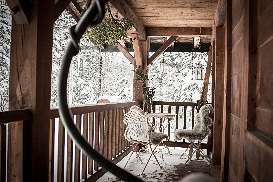 The covered balcony is a lovely place to listen to the river and watch the snow - it has tables and chairs and a beautiful wrought iron and wood swing. 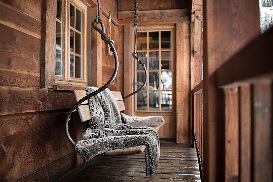 You are welcome to smoke on the balcony (though not elsewhere in the chalet). There's an upstairs mezzanine den with seats and cushions, where you can retreat and laze if you prefer. 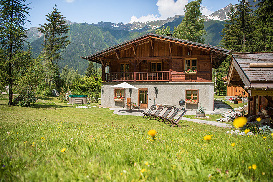 Induction hob and quality appliances, dishwaher and washer-dryer, fondue and raclette sets, quality crockery and cutlery...we love to cook so the kitchen is very well equipped. Comfortable beds with quality mattresses throughout. Crisp cotton bedlinen, thick fluffy towels and waffle bathrobes are all provided. 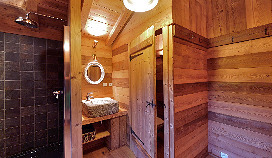 Five bedrooms including the mazot, a sweet and cosy retreat for two, fully en-suite. 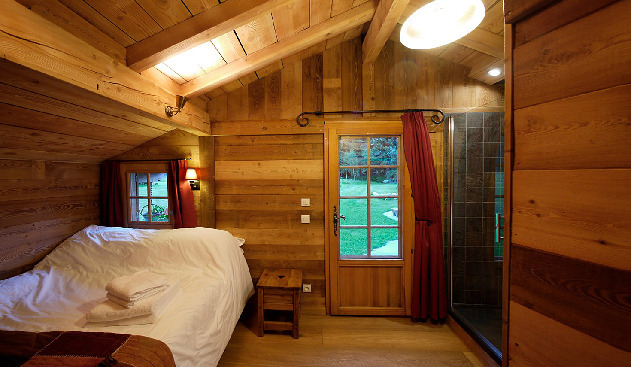 Three of the bedrooms can be either double or twin to suit. Upstairs with double sink, bath, shower and separate toilet, downstairs walk in shower and wet room with explsed original granite wall. 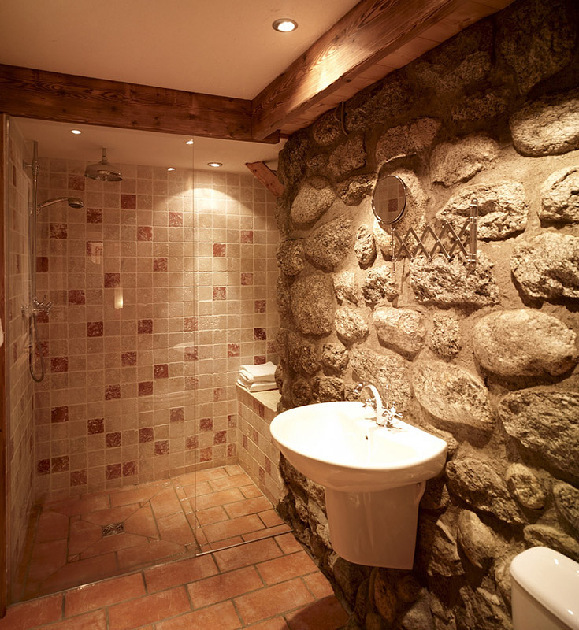 Mazot en-suite with slate shower and local granite sink. 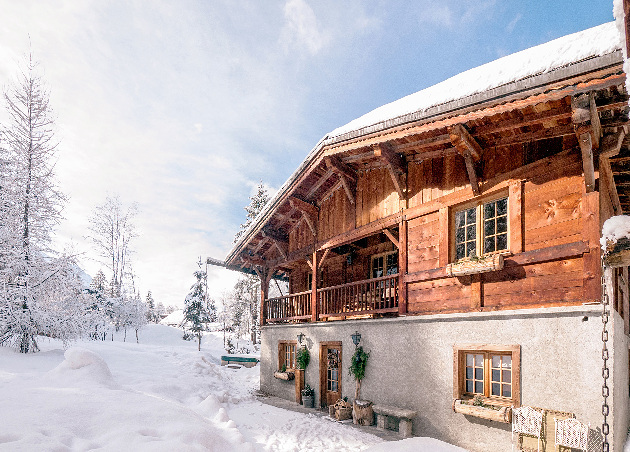 The chalet, which faces south, was originally built in 1950. 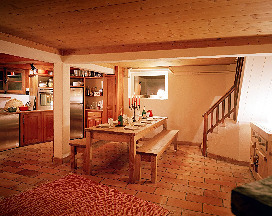 Now completely renovated, it retains the warm feel of the mountain guide's home it once was. Built of granite faced by traditional river-sand render on the ground floor, and solid larch wood on the top, with a traditional cedar-tiled roof, it's a wonderfully welcoming house. 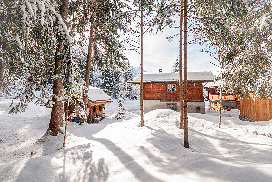 Click for Prices and Availability for Chalet Ref. 7440 now. 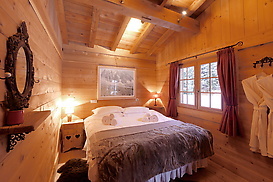 sleeps ten = 4 double/twin bedrooms in the main chalet plus a charmin en-suite mazot sleeping 2 people. Large living room with mezzanine. 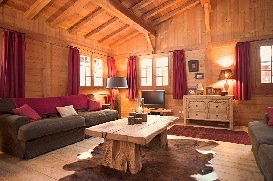 A fabulous, lovely and cosy chalet !!! 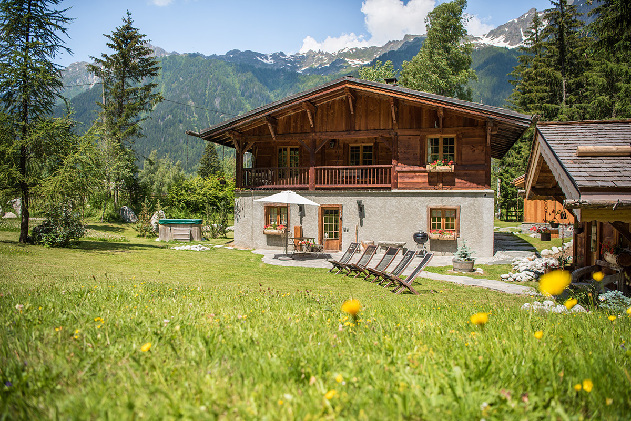 THANK you very much for letting us using your chalet! We all enjoyed it VERY VERY much!!! A fabulous, lovely and cosy chalet!!! 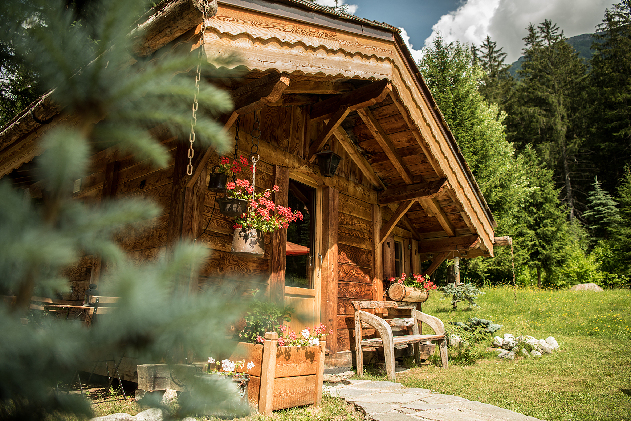 We will warmly recommend your chalet and hopefully one day we can return to it! Not to mention the excellent skiing we had as well!! Lovely and quite quiet in the slopes this time of the year as well!! We were sooo lucky and could ski every day!! 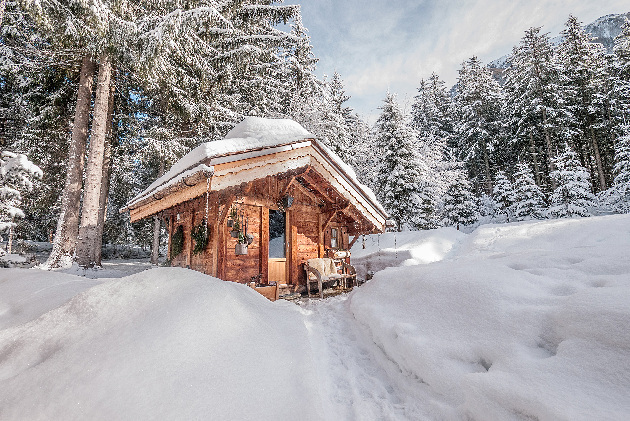 Your chalet is a total winner – we all loved it! It’s extremely comfortable, spacious, homely and brilliantly appointed. We all agreed it was a sure thing for next time! I don’t really have any negative feedback at all and found your communication and entire process slick and honest. 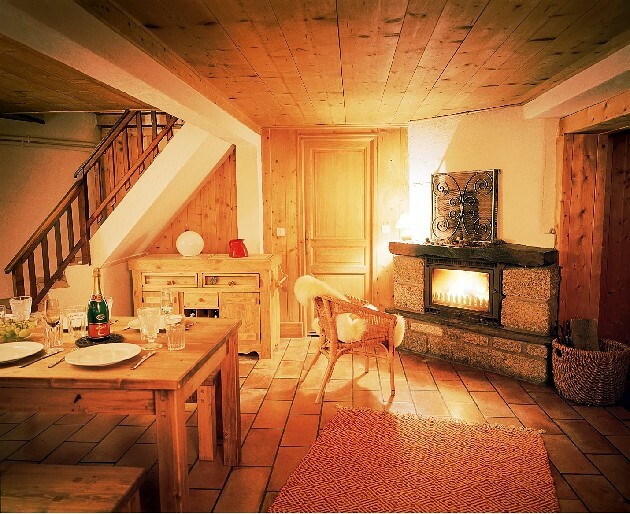 My sister and brother-in law are hoping to book the chalet at the end of the year – so look out for the inquiry. Thanks! We are back from our wonderful 2 weeks spent in Chamonix. 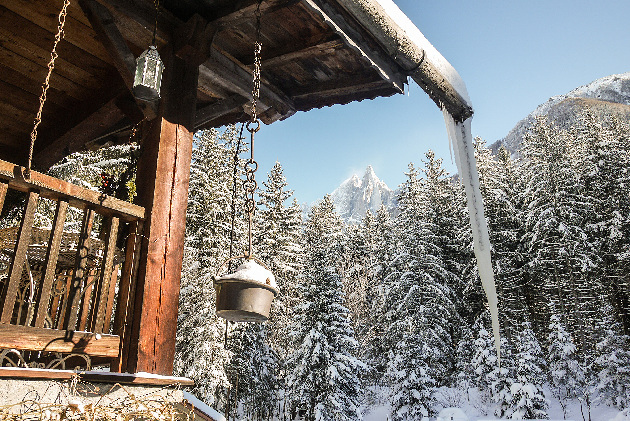 Thank you for letting us stay in your chalet. The territory near chalet and the location are fantastic which helped a lot in organizing kids activities daily. It was a great pleasure meeting you and your team. 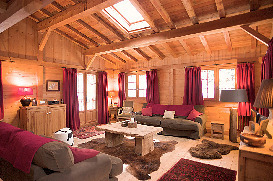 We had a fabulous time in the chalet, it was ideal for us – thank you! To be honest I can’t really fault anything, it was immaculately clean and tidy, very well appointed, comfortable beds (we were in the mazot, luckily we are both quite small!) and so easy to get everywhere. Your website is excellent, it has everything you could possibly ever need to know about, and booking was very straightforward. 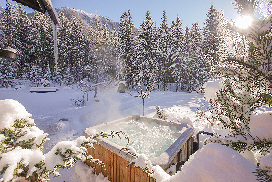 The hot tub was great for sore muscles after a day in the mountains, it was gorgeous sitting in it late at night and looking at the stars. The kitchen was great, we did struggle a little with fridge space but that is only because of all the beer and wine and we did have an overflow one in the mazot! (We have since replaced the fridge, M.T.) We made full use of the new outdoor table, it was brilliant, and the umbrella was great too and offered some much needed shade. 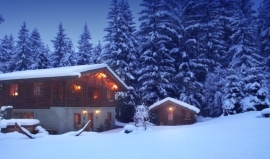 All in all a great holiday, I’m sure we will be back one day soon, I’d love to see the chalet in the snow! 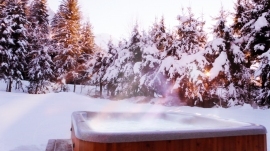 Of course we loved the hot-tub, but I imagine you hear that a lot. It was definitely far beyond what we could have expected. 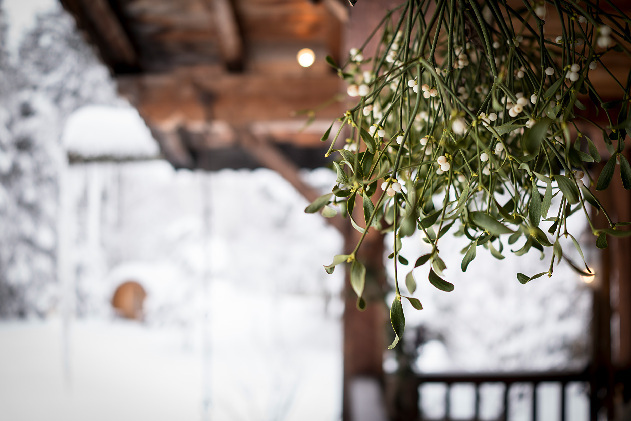 We loved the ambience of the chalet, the setup and the decoration and the facilities you’ve put in place. The ski shed key locker and boots-vent, the mazot, the sauna were all so cleverly done. We also really appreciated the fully equipped kitchen – for us cooking and enjoying a wholesome dinner was an essential part of the chalet experience and having such a well-prepped kitchen made a big difference. We were also hugely impressed with your info preparations – the booklets and info pages, they were so well done! I’m in marketing myself, and I just kept thinking, I wish all the marketing people in my company would be so customer-dedicated. Everything felt like it was done to make our stay more convenient and enjoyable, it made a big difference. “We had a wonderful time at the chalet, everything was great – thank you! The weather was amazing and I even managed to drag my mum up the aiguille du midi – it was stunning as usual. 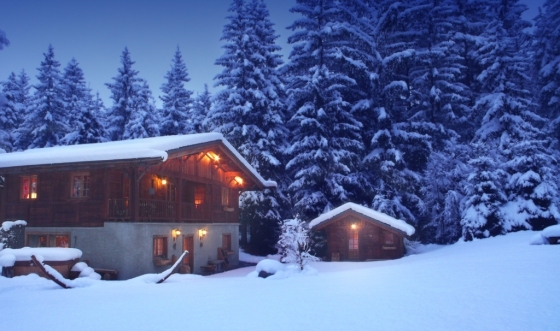 Looking forward to returning to the chalet soon. I’ve got some lovely photos! 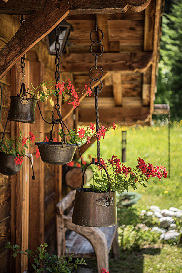 You’re very lucky to own such a wonderful place – it’s our dream to have a place there one day! Thanks again and hope to speak to you about re-booking at some point! First of all thank you for everything. I was first impressed by the web site, then convinced by your emails and now satisfied by Lou’s attendance, the house itself and your hospitality.Booking process was easy, the web site is a hit! 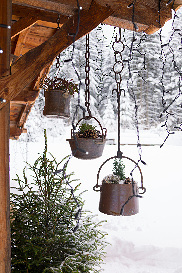 The email communication worked perfectly and the friendly management was a key point for us. Location much better than expected, we were glad to be outside the ‘UTMB fever’ for a while and the town is beautiful. Level of comfort is very good, beds are fantastic (which is always hard to find). Facilities were good in general, the few things that did not work 100% are not significant. (we had some problems with our ADSL line at the time – martha). The garden was real amusement park for the girls, the views surpassed expectations and the neighbors were non-existent so we enjoyed total privacy (extra-ball!). Every house is a book talking about who lived there: this one was plenty of good feelings, good taste and it keeps perfect harmony with its environment. I really appreciate all the small details and the consistent style (materials, colors, textures, and so on) you kept for the inside/outside of the house.It’s great to see you love mountains and the love put in the construction of the house. To be Improved? Please keep it as it is and let us enjoy it again in the future! I just wanted to drop you a line to say how much the family and I all enjoyed our holiday @ Chalet La Foret. 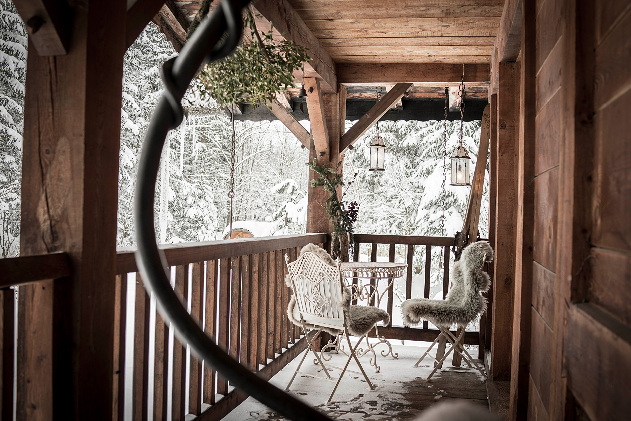 Without question, every aspect from the Chalet, Sarah the Chef or Lou and Andy exceeded by far our expectations. 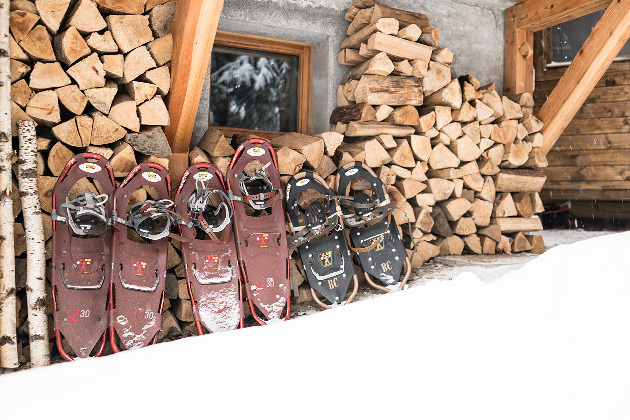 The holiday worked for all of us, even the non-skiers! The fact I can now snowboard is perhaps the most surprising of all! Without question I’d recommend your Chalet and I hope to be able to arrange our skiing trip next year along the same lines. website – excellent. 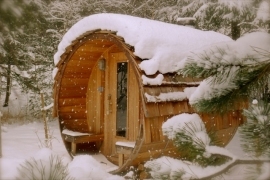 Very informative and a key feature in attracting us to the chalet. Promptness of response – excellent. Ease of booking – extremely easy. 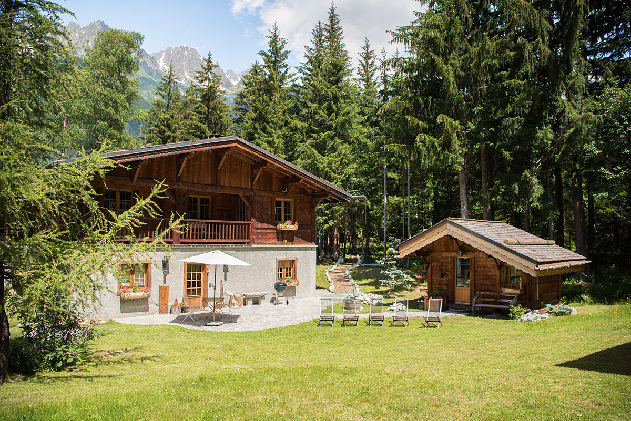 The chalet itself – everyone loved the chalet and we would stay there again without a second’s thought. I would definitely recommend it to friends and family. Spacious, comfortable, well presented, well equipped and in a lovely location. Lou did a great job. Location – excellent and extremely picturesque. Presentation and level of comfort – first rate. Standard of cleanliness – first rate. “We really enjoyed our stay! The chalet was wonderful and we used all the extra’s: the fireplace, the sauna and the hot tub. Location was better than expected, I thought the walk towards la Flegere would be much longer. We were also pleasantly surprised that the bus towards Grands Montets was so close. “Firstly we loved it truly.. it was everything we were hoping for. Cleanliness was first class…the girls were very thorough. The presentation of the chalet was very homely, the master bed was really comfortable and all the other guests commented how their beds were great too. The towels were especially nice as the usual in France are between a tea towel and a flannel!! 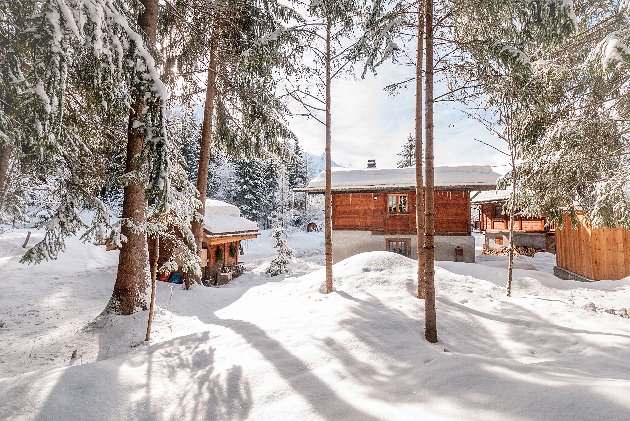 “Our stay at at Chalet la foret was magical. We were greeted by the first fall of the season and made the most of it by having a nightime hot tub, marveling at the pine forest and the silence as the snow fell. The Chalet was comfy and cosi and had everything we needed. We woke up to sparkling views of snow topped mountains and laden pine trees. The kids had a great time playing in the extensive and enclosed garden. Nightimes were spent eating local food – the raclets were amazing – and reading by the fire. The scenery is breathtaking, loads of activitys for kids, the town is lovely – we especially enjoyed the saturday morning market. 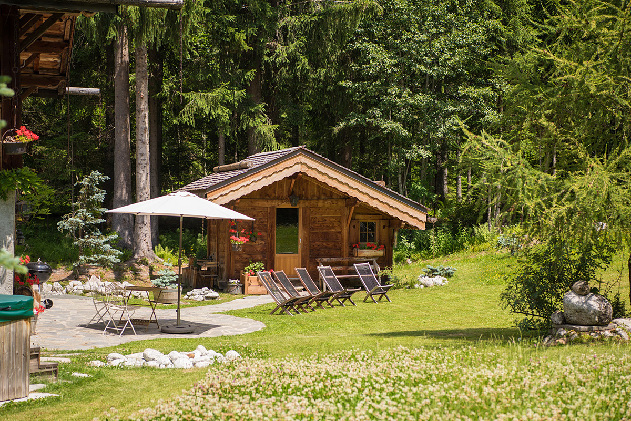 “The second time we have stayed at Chalet la Foret. It has a wonderful homely feel, cozy and warm – whilst spacious, the bedrooms are very comfortable and the kitchen’s superbly equipped. 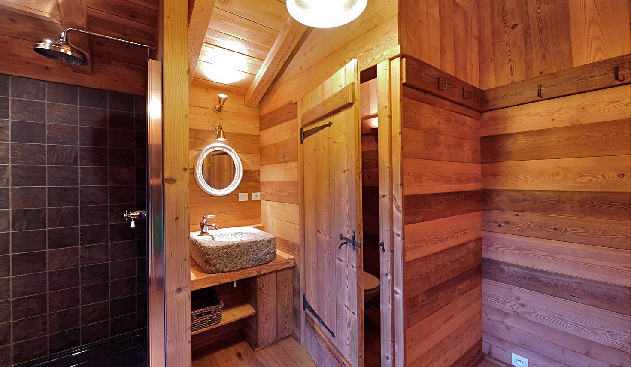 There’s a big bath in the bathroom and a superb wetroom. 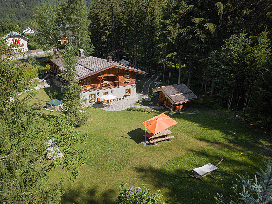 Situated in a wooded area of Les Praz village – the view across the garden and over the woods to the mountains is spectacular [especially from the hot tub]. 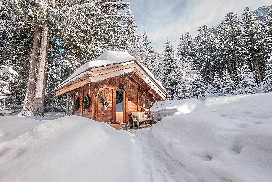 It’s a 5 minute stroll to the Flegere cable car and because Lez Praz is -geographically- halfway between Brevent and Grand Montet, they are a short car or bus ride away… The skiing in Chamonix is truely amazing. We had a truly lovely holiday and would like to thank you for a lovely time! 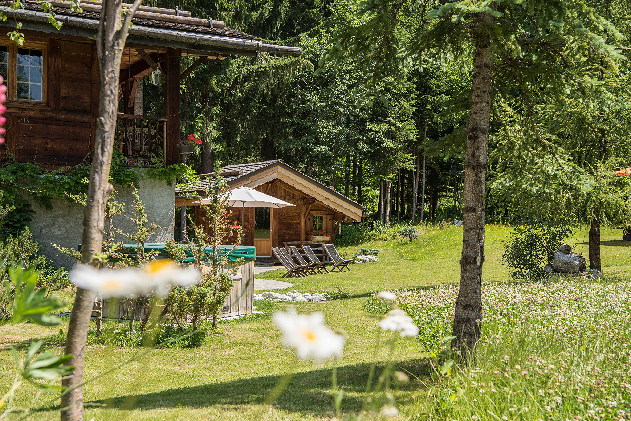 The Chalet was absolutely beautiful… the house and its surroundings! 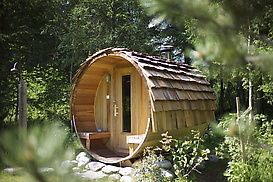 The children loved exploring the woods, the treehouse and the hot tub! The lovely country, farmhouse kitchen made at eat at home most evenings… and the great tv and playstation kept them amused in the evening too! Website- easy to use, full of useful information, and great to show off photos to friends and family! Promptness of response to your initial inquiry- incredible, phoned directly, booked within an hour! Ease of booking- great, speedy, lots of useful information to use in Chamonix! Arrival impressions of the property- beautiful! Just wanted to explore…. 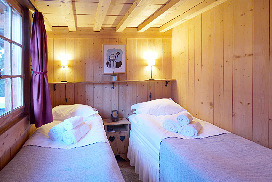 Presentation and level of comfort- very good… beds were very comfy and bathrooms were lovely! 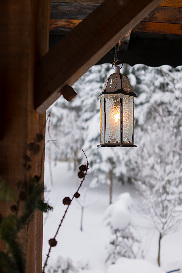 Only suggestion I would make would be to pre heat the Chalet before guests arrive… we were pretty cold the first evening and it took the men a few hours to work out! Standard of cleanliness- excellent! 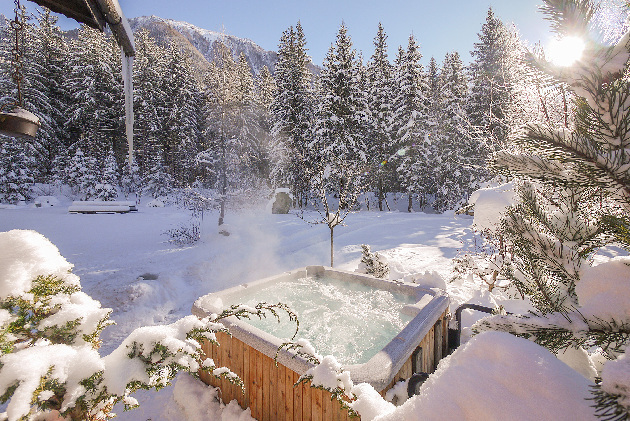 Met the lady who cleans the Hot tub and her son… she was lovely, and had a long chat with her about her fantastic life in Chamonix! Charlie ran around with our children and played in the glorious garden in the beautiful sunshine! Value for money- reasonable… although quite pricey, did spend a lot of time there as it was so lovely! Which saved money on restaurants and bars! Similarly priced to other Chalets!